1. 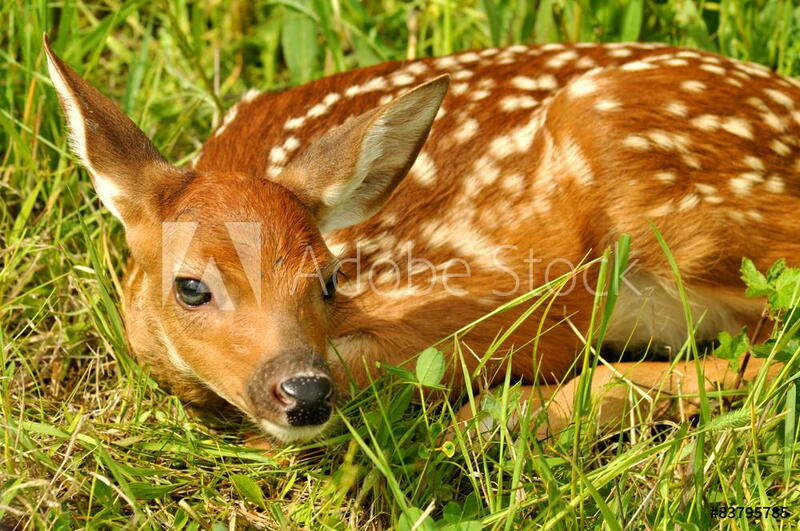 Some animals, particularly deer, hide their young in tall grass while they are nearby. Please don't disturb or pick up fawns, their mother is probably close by! 2. Like deer, baby rabbits and birds are generally best left alone. Their mothers are probably nearby (and they usually don't do well in captivity). 3. Some animals can be dangerous, particularly angry deer moms, bucks, birds of prey, herons (some will instinctively peck at eyes), coyotes, foxes, among others. Deer have been known to injure and even kill people, and every year we see 1-2 dogs with injuries from deer. 4. Raccoons, foxes, and bats can transmit rabies virus (all mammals can, but squirrels and opossums are not as likely to carry the virus). 5. Canadian geese are protected under state and federal law. Geese will aggressively protect their nests and may charge people. 7. Alligators should be self-explanatory. Stay away from them and call the experts (see below).